Mikan. Japan’s sweet and sour winter addiction. 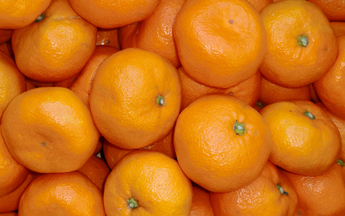 | Fujita Kanko Inc.
Mikan are delicious Japanese oranges of Chinese origin that are easy to peel and eat. In English, they’re known as citrus unshiu (the Japanese name for the Chinese city of Wenzhou). Japanese especially love eating them in the winter while warming up at heated, futon-covered tables called kotatsu. Their juice exquisitely balances sourness and sweetness in a small size that makes them easier to eat and more addictive than bigger, richer western oranges. Highly nutritious, mikan are full of vitamins that people tend to lack in winter. So they help prevent colds. Most mikan are grown in areas of western Japan like Wakayama and Ehime or in Shizuoka, in central Japan, which is popular among foreign tourists. Be sure to try fresh mikan when visiting Japan in the winter. 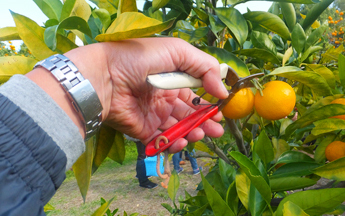 There are many farms in Ito City (Shizuoka Prefecture) where visitors can pick fresh mikan right off the trees. The city is also famous for its hot springs, so visitors can enjoy two Japanese winter classics on a single trip. 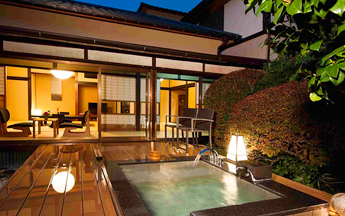 While there, we recommend staying at Ito Kowakien inn or Glamping Fuji no Kirameki for a little luxury or adventure.